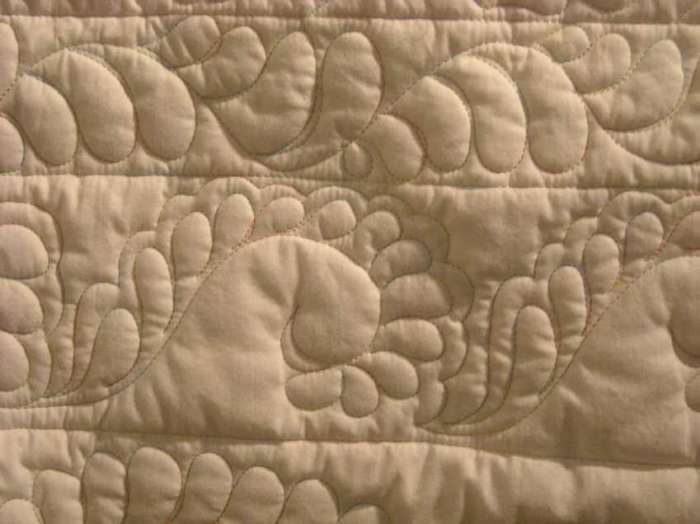 At EOC-Quilting, Beth produces quilting stitch patterns using four methods. 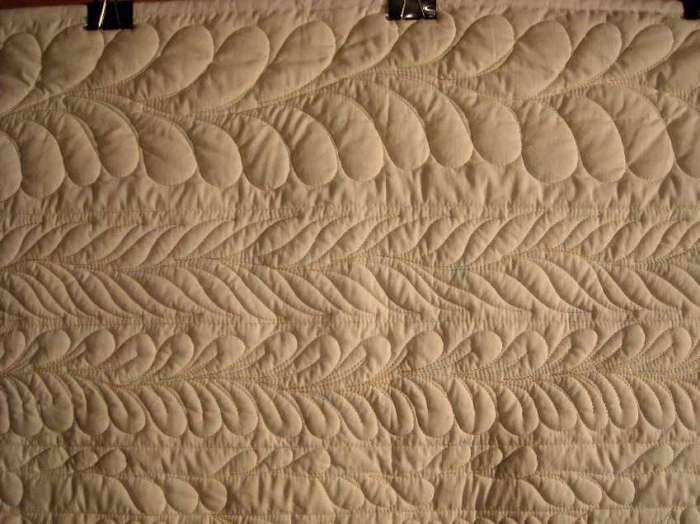 Freehand: patterns are still produced, but the machine's motion is artistically hand-guided with the motif, size, and layout created as it's produced. 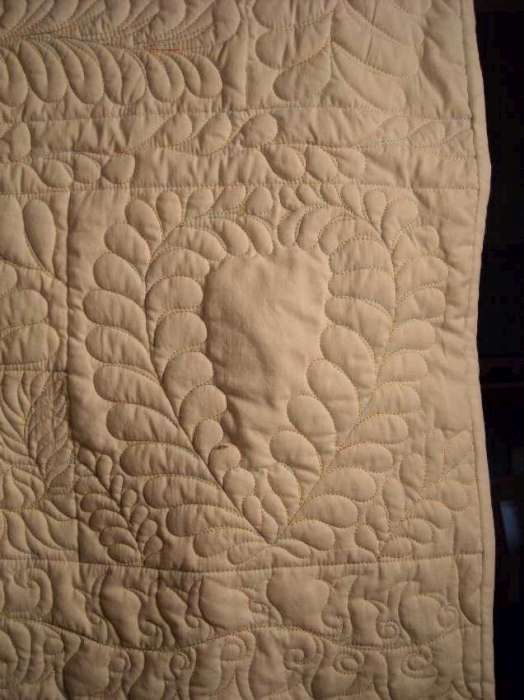 This produces unique and artistic patterns. 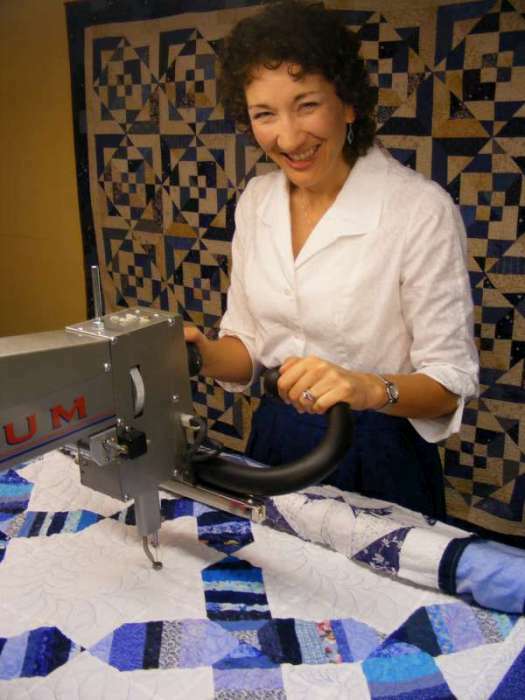 Beth's practiced experience allows for a wide range of patterns and motifs. 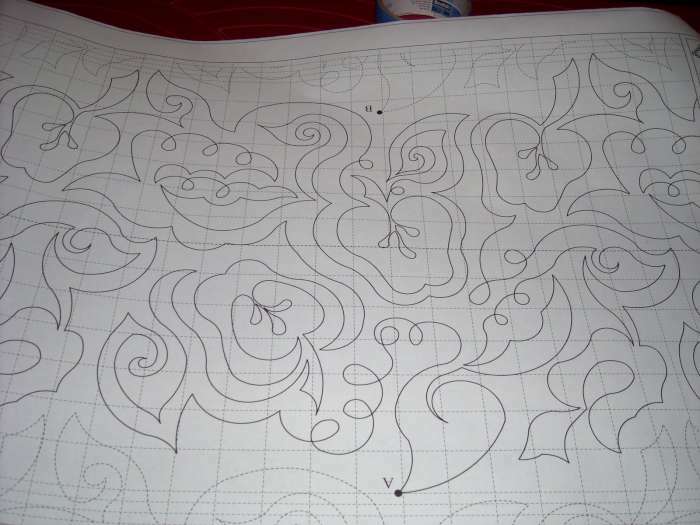 Ruler-Aided Freehand: primarily these are straight rulers to aide with "stitch-in-the-ditch" quilting. 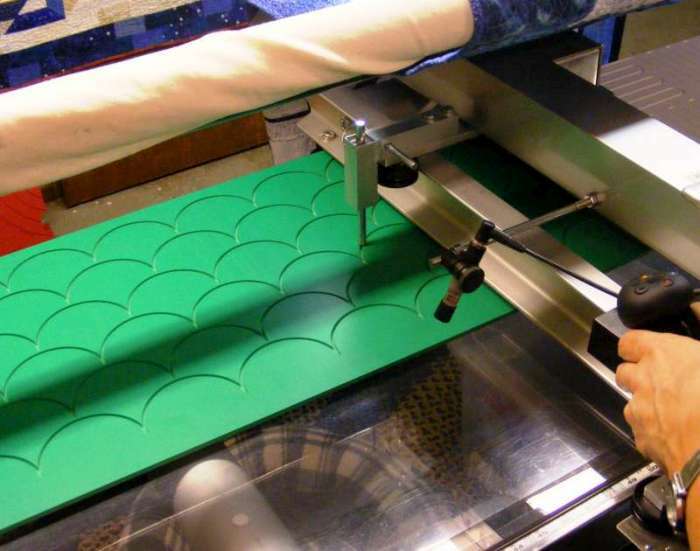 We also have some curved or shaped rulers to aide in producing certain patterns. 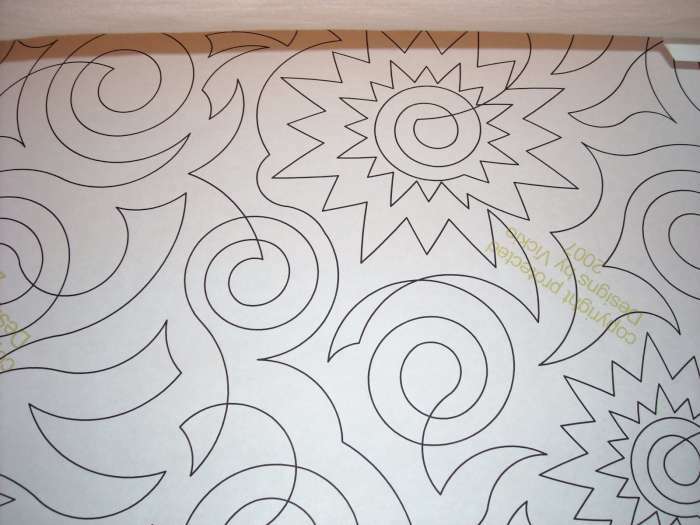 Pantographs: Pantographs are line drawings on long rolls of paper. 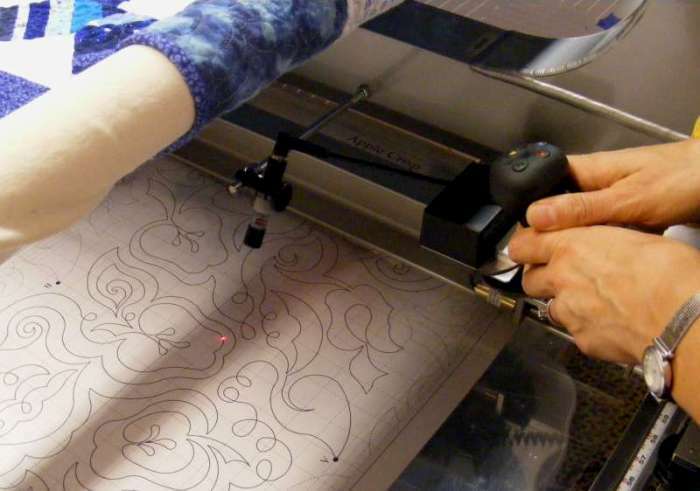 Placed below the longarm machine on its table, the pattern is followed by hand-guiding the machine "tracing" the pantograph with a laser pointer mounted on the machine. 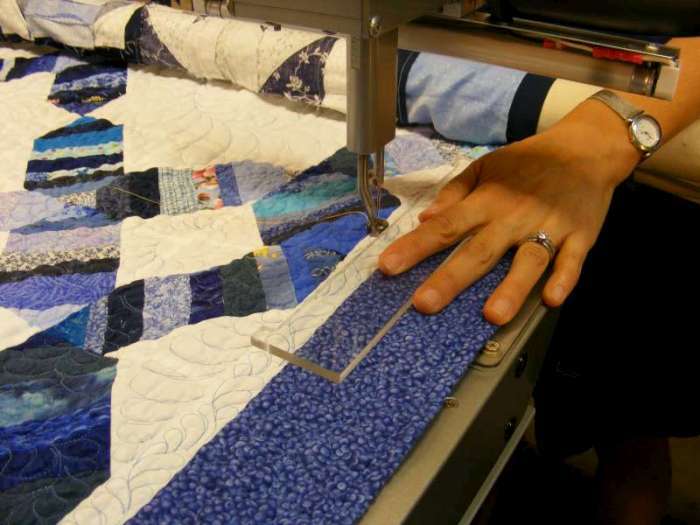 Pantographs provide a method for maintaining size and layout across the entire quilt. This however does not produce computer driven 'manufactured' repetition as the machine is still hand-guided and the slight variations inherent in this still produce a lovely artistic quality to your heirloom treasure. Circle-Lord Systems: This is the closest we come to computer driven. Similar to pantographs, but rather than laser following a line drawing, there is a mounted stylus following a groove in the plastic pattern boards. 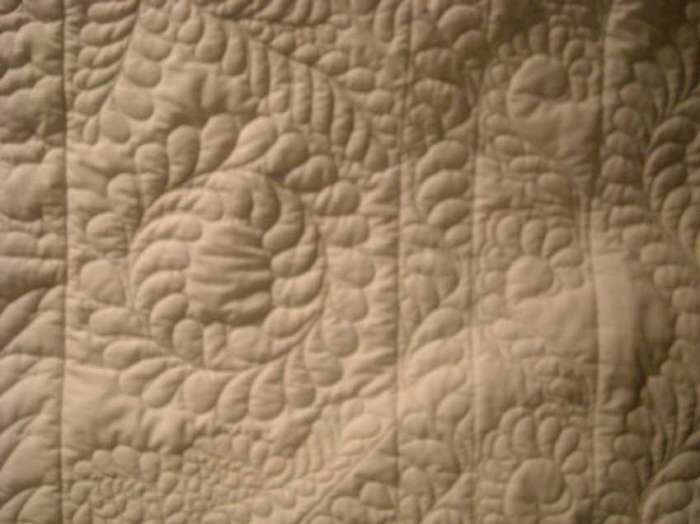 Certain patterns look best with this level of repeatability (cross-hatch, spirals, etc). 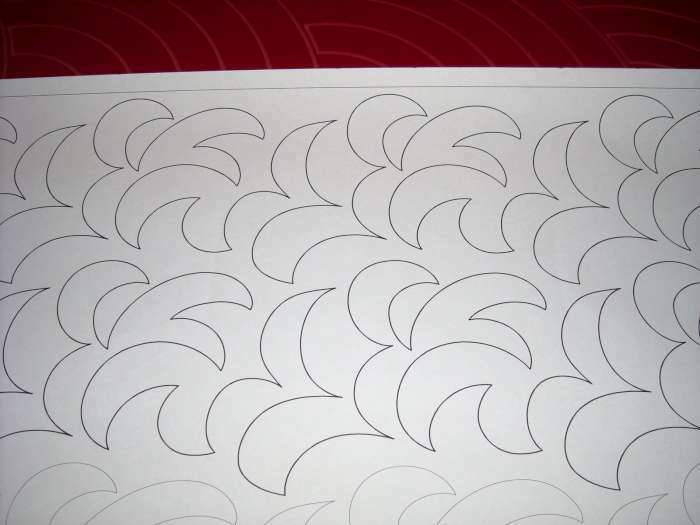 An Example of Freehand "Feathers".